Katzenbach, R., et al (2013). Optimized deep foundation systems and retaining structures in diffi-cult soil and ground water conditions. 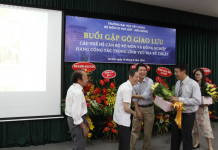 Foundation and Soft Ground Engineering Conference Thu Dau Mot University ICTDMU-1, Binh Duong, June 5 .6, 2013. Katzenbach, R., et al (2004). High-Rise Buildings In Germany. Soil-Structure Interaction of Deep Foundation. Proc. 5th. Int. Conf. on Case Histories in Geotechnical Engineering, New York, NY, Apri 13-17, 2004. Katzenbach, R., et al (2004). New exhibition hall 3 in Frankfurt – Case history of a combined pile-raft foundation subjected to horizontal load. Proc. 5th. Int. Conf. on Case Histories in Geotechnical Engineering, New York, NY, Apri 13-17, 2004. Katzenbach, R., et al (2004). Soil improvement of soft soil under dynamic and static loading – Case history of a geotechnical field experiment under a railway line . Proc. 5th. Int. Conf. on Case Histories in Geotechnical Engineering, New York, NY, Apri 13-17, 2004. 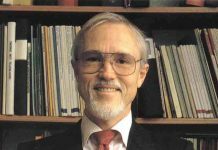 Katzenbach, R., et al (2004). Tilting of a historic façade during construction works – Geotechnical cause and effect on the stiffening system. Proc. 5th. Int. Conf. on Case Histories in Geotechnical Engineering, New York, NY, Apri 13-17, 2004. Katzenbach, R., et al (2005). Combined pile raft foundations (CPRF): an appropriate solution for the foundations of high-rise buildings. Slovak Journal of Civil Engineering. 2005/3, pp. 19-29. Katzenbach, R., et al (2008). Soil-Structure interaction and ULS design of complex deep foundations. Proc. 6th. Int. Conf. on Case Histories in Geotechnical Engineering, Arlington, VA, August 11-16. Katzenbach, R., et al (2013). Keynote lecture: Geotechnical challenges at super high-rise buildings. Proc. Int. Conf. on Geotechnics for Sustainable Development – Geotec Hanoi 2013, Phung (edt), pp. 13-20, November, Hanoi, Vietnam. Katzenbach, R., et al (2013). New experiences at urban tunnelling projects. Proc. Int. Conf. 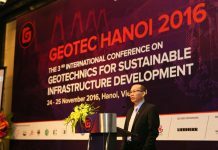 on Geotechnics for Sustainable Development – Geotec Hanoi 2013, Phung (edt. ), pp. 153-161, November, Hanoi, Vietnam. Katzenbach, R. (Ed.) (2013) International CPRF Guideline-TC212. July. Darmstadt University of Technology.